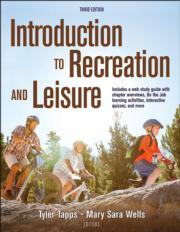 Recreation and leisure services have long provided many benefits to all sectors of society. Because it contributes to the quality of life and enhances communities, the field is identified as a core value within the United States, Canada, and other countries. Sustainability is a word that is often used but is poorly understood. Too often it is simply used as a synonym for being green or advanced environmentalism. In fact, it is a new vision of how we live within the world and how we connect with the natural world. Arts and cultural activities may initially appear to be in competition with social service providers and programs. However, individual and group-based arts and cultural activities provide benefits in their own right and offer additional support for health and human service programs and the social needs of mental, physical, and occupational support by providing skill development and social connection. Well-worn soccer balls skirt the streets of villages around the world whether the villages are wracked with strife or disaster or have manicured fields and youth and adult teams in matching uniforms.